The sauna is more than a hot sweating chamber: It is an expression of your wellbeing and your individuality. It isn‘t simply a means to an end. In a beautiful ambience, for example in one wellness bath in the living area, the tailor-made KOERNER-made sauna will become the centre of your wellness oasis at home. Relax, recharge, regenerate, rejuvenate. We offer you the right solution for your basement, garden, bathroom or wherever you wish to place your sauna. We will help you to find exactly the shape that matches you and your needs. Your very own wellness oasis. Talk to us, and we‘ll implement your wishes with your new KOERNER tailor-made sauna – because saunas are our passion! Read more about KOERNER Technology Packages. 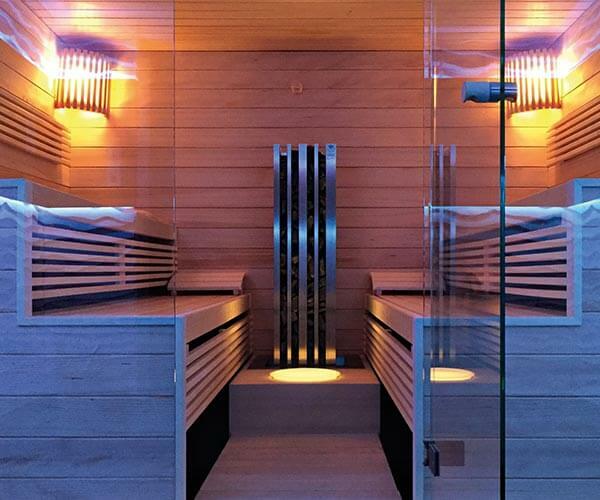 In the third generation we create individual saunas specially suited to your needs.